Russo and Steele | WELCOME ALL ARIZONA FOOTHILLS READERS! WELCOME ALL ARIZONA FOOTHILLS READERS! Drumroll please…the winners of the ninth annual Best of Our Valley contest are here! 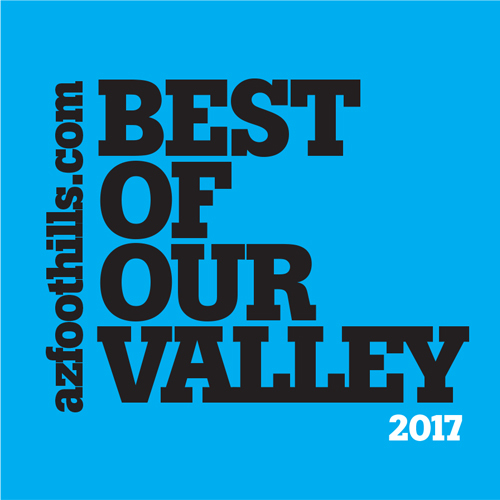 Each year AZFoothills.com ask readers to vote on their favorite Valley people, places, and more. The contest is answered with millions of votes and more than four hundred winners. Thanks to all of YOU, Russo and Steele has won Arizona Foothills Magazine’s 2017 Best of the Valley readers poll in the Best Automobile Auction category! As a special thank you to we are proud to offer $10 General Admission on Sunday, January 22nd for all Arizona Foothills readers to our flagship Scottsdale Auction Event! Use promo code AZFBESTOF17. Best of Our Valley contest winners will be featured in the April 2016 issue of Arizona Foothills Magazine, a tell-all guide to the best people and places in the Valley of the Sun, as chosen by its residents. Simply enter promo code AZFBESTOF17 to receive discounted Sunday Russo and Steele tickets! Please complete the form below to obtain general admission tickets for the upcoming Russo and Steele auction. Email is the preferred method of communication, so please provide your correct email address. Ticket vouchers will be emailed to you. I agree to Russo and Steele’s Terms and Conditions.